Every room in all homes is likely to be affected by wear and tear due to everyday use and that is why most home owners look to either install a new bathroom or remodel their old ones. The decision to either remodel or install a new one would largely depend on the effect of the wear and tear and the damages caused by it. 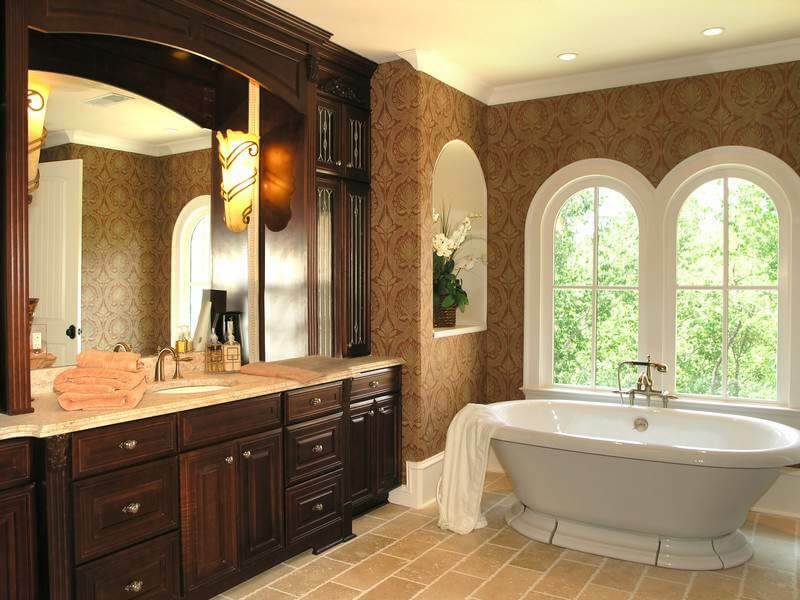 There are many factors that need to be considered before remodeling or installing a new bathroom, but primarily the decision to be taken first is to evaluate the need of the bathroom, that is, whether it needs complete change or a few changes here and there to remodel or renovate it. Only after this decision is taken can an estimate be drawn and ideas to improve the bathroom implemented. Whether it is remodeling or complete installation of a new bathroom, some significant factors need to be considered in both cases, which include some of the following. If you are building a new bathroom, you need to first identify the best place for it and this must be done under expert advice as the plumbing and waste water disposal methods are known only to them. But if the bathroom needs only remodeling, then the fixtures need to be considered first. It is best to consider fixtures that are latest models as spare parts will be available in case the need arises in the next couple of years. But if you continue with the old models it is likely that they have become redundant and the spare parts are not likely to be available in the market. It is a good idea to change the flooring of the bathroom in case it is being remodeled. You can buy new fixtures and match up the pattern, design and color of the tiles as well as that of the wall tiles. If it is being installed new then all can be bought as a set so you get well matched designs and models of the fixtures and the tiles for the floor and walls. Get an expert to deal with the heating and cooling ducts, the plumbing and the ventilation for the bathrooms. These are extremely major concerns that go into the proper functioning of the bathroom. Cabinets, mirrors and storage space, electric points for the dryer, shaving and other devices are all very significant in making the bathroom operational. The bathtub is a very important fixture in the bathroom and that must be well packed for insulation as well as for prevention of any leakage or seepage. By keeping all these factors in mind and implementing them when remodeling a bathroom or installing a new one, it can be really helpful in making the house well equipped with the most efficient bathroom that is highly peaceful and hassle free. After all, the day begins and ends in the bathroom for most people and to be completely fresh, all the devices in the bathroom should operate smoothly. Similarly, at the end of the day, the warm and fresh shower that one usually has before jumping into bed is very important for a good sleep.